Dear Friends—In under 25 years, George Soros, working through his network of NGOs under the Open Society Foundations umbrella, has poured around $1.6 billion into Eastern Europe. Beginning with the innocent seeming stated motive of fostering democracy, in recent years we’ve seen that Soros only uses democratic mechanisms when it suits him. At other times, he’s quite keen to use his money to run rough-shod over democracy, trying to remake the region according to his own leftist ideology and to root out native values of faith and family. 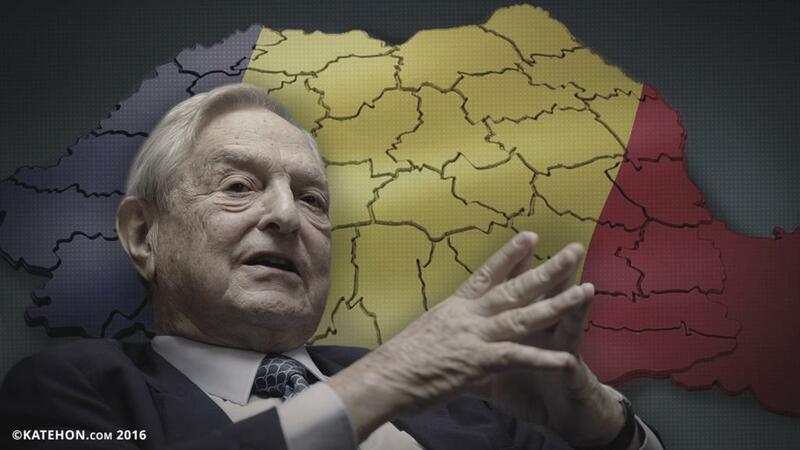 The most recent example of democracy running afoul of Soros’ vision is in Romania. Next month, Romanians are set to vote in a referendum to define marriage in the country’s constitution as the union of a man and a woman. Soros and other outside forces from the European Union are fighting hard – and spending loads – to try to ensure this referendum fails. At IOF, we have a small fraction of the budget that Soros’ NGO cronies have at their disposal. But we have the truth on our side: and with the funding we receive from ordinary men and women like you, we do great work opposing this radical leftist agenda across the globe. We’ve formed relationships with key government leaders in Europe – in Hungary, in Moldova, in Poland, in Italy, and elsewhere – and we are working through these relationships to ensure pernicious forces from outside Europe lose in their bid to remake traditional, faith-filled societies into outposts of the radical liberal ideology espoused by coastal elites here in the United States. Will you help us with a generous gift in this David vs. Goliath battle for the soul of Europe? As you know, we just wrapped up a widely successful World Congress of Families event in Moldova earlier this month at the invitation of President Igor Dodon. A year previously, we hosted a World Congress in Budapest, Hungary as part of a family festival organized by Prime Minister Viktor Orban. And in just a few short months, we will be holding another Congress in Verona, Italy, at the invitation of local and national Italian officials. All the while we continue to build relationships and create networks of scholars and activists to fight back against huge multi-national governmental and NGO forces exerting pressure in all these nations. The traditional values of faith, family, life, and marriage are under relentless attack across Europe, and IOF is on the forefront of defending them. But we can’t do it without your help. Will you give a generous gift to IOF today to help us stand strong in this fight? Again, we don’t have billions of dollars to spend in this critically important cause like our opponents do, but we do have countless dedicated supporters like you, Friends, that we know we can count on to do the right thing and stand up generously for the truth. I’m asking you to act in that generosity today and make a contribution to our work so we can continue to carry your voice into the halls of power throughout the world. Whatever you can afford to give, it is greatly appreciated and will be put to good work right away. Previous ArticleWCF XII in Moldova a Huge Success! Next ArticleDon't miss out - register for WCF XIII in Verona today!